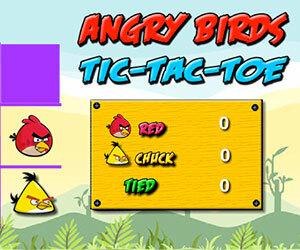 Angry Birds Tic-Tac-Toe, 2 player games, Play Angry Birds Tic-Tac-Toe Game at twoplayer-game.com. Angry Birds Game.Play the classic Tic Tac Toe with Angry Birds. This entertaining game has the option to play with one player or against a friend of yours, show that you are the best.